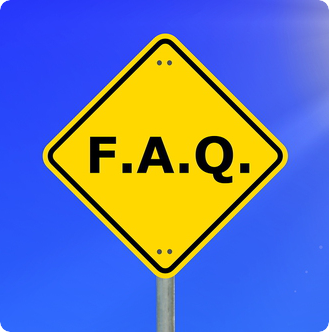 Welcome to our Frequently Asked Questions for Devereux Center for Resilient Children’s (DCRC) Infant and Toddler Initiative, Resources, and Professional Development opportunities! If you have a question about DCRC’s Infant Toddler Initiative that is not included below, please submit your question here! Q1. How were the items and factors developed for the Infant and Toddler assessments (DECA-I and DECA-T)? To create the items and scales for the DECA-I/T, the authors began with a thorough literature review, followed by focus groups with parents and caregivers/teachers. Next, readability and cultural sensitivity of the items were examined. Upon obtaining a pool of strength-based items related to protective factors and social and emotional health, National standardization occurred. Factor analysis was used to determine the best factor solution from psychometric and interpretability perspectives. Reliability and validity studies were then conducted. The DECA-I/T Infant form (DECA-I) ended up with 33 items and the Toddler form (DECA-T) with 36 items reflecting positive behaviors (strengths) typically seen in resilient children. Factor analysis elicited a strong two-factor solution for the infants and a strong three-factor solution for the toddlers. Q2. Why is there a Self-Regulation scale on the DECA-Toddler, but not the DECA-Infant? Q3. Why are there no “negative” behaviors (no Behavioral Concerns scale)? Initially, when generating the item pool there was a list of behavioral concern items. It was evident that all of these items could be written in a strengths based way and still allow raters to pick up on risk, for example, one of the negative behaviors was “Does not engage in eye contact.” It can just as easily be worded, “engages in eye contact and if scored as happening “never” on the Likert scale it would show up as a risk. Feedback from clinicians, parents, researchers and early care and education providers supported the 100% strength-based approach to the DECA I/T assessment. Q4. Does this assessment come in Spanish? Q5. Is there research on the cultural appropriateness of the DECA-I/T? Many, but not all, of the items on the DECA-I/T were derived from the DECA for Preschoolers. These items had been reviewed by the Culturally and Linguistically Appropriate Services program of the ERIC Clearinghouse for potential bias against minority children. Any items that raised concern were not included in either the DECA or the subsequent DECA-I/T. When the DECA-I/T was developed, the CLAS program had been defunded, so we were not able to have the new items, which are unique to the DECA-I/T reviewed in the same way. The norms on the DECA-I/T are based on a large, nationally representative sample of infants and toddlers. Children from various racial and ethnic groups were included in the standardization sample in numbers proportional to their representation in the nation. We did explicitly test for bias, defined as mean score differences, between (1) Black and Caucasian and (2) Latino/a and Caucasian children on each scale on the DECA-I/T. In 18 of the 28 comparison the differences between the mean scores obtained by the different groups of children were “negligible” operationally defined as a d-ratio of less than .20. (this means that the mean scores differed by less than about 2 T-score points, a trivial, non-consequential difference. Of the remaining 10 comparisons, 8 were classified as “small” differences (3 to 5 T-score differences) and only 2 met criteria for a “medium” sized difference (6 to 7 T-score points) . In these two cases, the Latino/a children had higher mean scores than the Caucasian children. So there is little evidence of meaningful differences between Black or Latino/a children and their Caucasian peers and where it did exist it was in favor of the Latino/a children. Ultimately, it is the responsibility of the DECA-I/T User to make sure that the DECA-I/T is appropriate to use with the group of children in your care. This is especially true if you are working with populations of children other than Black or Latino/a. Should you be using the DECA-I/T with children from a particular ethnic, cultural or other group, we strongly suggest that you have the DECA-I/T items reviewed by an expert in that culture and take into account any reservations or recommendations that they might have. For instance, you might ask raters to leave a particular item unanswered if cultural experts feel that it is inappropriate for children from that group. Q1. Can the DECA-I/T be used as a screener and an assessment? Yes. It depends on the process and purpose for which it is used. If the DECA-I/T is used to assess children’s protective factors and results are used to plan for that child’s growth and/or plan for all of children’s growth, then it is being used as an assessment tool. If the DECA-I/T is used only to identify which children may need further observation or assessment, then it is being used as a screener. Q2. What guidance does Devereux provide around the number of visits that a home visitor should make before conducting a rating on a child? Q3. If my preschool has a two-year-old enrolled, is it appropriate to use the DECA-T or the DECA-P2 (Preschool)? In general, the DECA Toddler form is recommended for two-year-old children. However, in those cases where a child is enrolled in a program for three-year-olds and the child will turn three within a matter of a few months (three months is the recommended limit), the DECA-P2 can be used. Studies were conducted to determine if results for “older twos” differed significantly from the three-year-olds in the DECA-P2 standardization sample. Significant differences were not found. Q4. Can we use this for children above the age of 3 but who are developmentally below the age? The DECA-I/T was standardized with a sample of children ages 4 weeks up to 36 months, therefore the standardized scores (T-scores and percentiles) can only be used for children falling within that age range. If a DECA infant or toddler form is used with a child older than 36 months the results can be used for planning purposes only. Q5. How should my staff interpret the terms Never / Rarely / Occasionally / Frequently / Very Frequently when responding to the assessment items? When the DECA was developed, the authors conducted focus groups to determine what terms would be most appropriate to label the frequency of behaviors assessed by the DECA. The terms Never, Rarely, Occasionally, Frequently and Very Frequently were selected. When the tool was then standardized across the country with over 2,000 raters, raters were not provided with guidance or instruction about how to define these terms. Rather, the standardization process left the interpretation entirely up to the raters. Based on the results from the national standardization process, raters did in fact have similar understandings and interpretations of these labels. Based on our findings from the national standardization process, the authors recommend that raters not be provided with definitions of the frequency terms. Rather, if there is a concern, the authors recommend making it clear to raters that their interpretation of the frequency terms, whatever that definition may be, should be used consistently when rating children. Also, it may be helpful if raters are not sure about how to most appropriately rate a child, to actually put the frequency labels right into the question when thinking about the item and reflecting on which statement most accurately reflects their observations of the child. For example, for question #5, the rater might say, “Maria occasionally controls her anger” or “Maria frequently controls her anger.” After hearing both statements and reflecting, the rater should feel more confident selecting the appropriate frequency for that particular item. Q1. How do I score blank items on the DECA-I/T? Please refer to User’s Guide pages 23 and 43 for a more detailed reply. If there is one blank item on the Record Form you can score that item a “3” and continue with scoring. If there are two blank items, it is essential to determine if they fall on the same protective factor scale. If there are two blank items on a Record Form that fall on the same protective factor scale, that scale has too much missing information and is not able to be scored. Though the other scale may be scored, the scale with the 2 missing items may only be used as a source of qualitative information to assist in selecting individualized and appropriate strategies for the child. If the two blank items are on two different Protective Factor scales (i.e., one per scale), score each items as a “3” and proceed with scoring. If there are three or more blank items on the DECA-I or DECA-T it is not able to be scored. It can be used for planning purposes only. Q2. How do we score a child who is born premature? We do not adjust for age. This is a prevention tool used for planning therefore, we look at where the child is according to age and plan based on what parent and other information is telling us. We included children who were born premature in our study sample and there were no statistical differences found in the way the children scored from the rest of the sample set. DECA I/T Program users may look to strategies that align with a younger age for planning purposes within the DECA Infant Toddler Strategy Guide or For Now and Forever, A Family’s Guide to Social and Emotional Health. Q3. Why are there 4 Individual Child Profiles for the Infant Assessment (DECA-I) and only one for the DECA-T? When examining children’s Total Protective Factor scale raw score means and standard deviations for age, trends were found for the infants and not for toddlers. Q4. What do the Strength, Typical and Area of Need ranges mean? Strength is a T-score of 60 or above meaning this is an area where the child was one standard deviation from the norm- heading in a strength direction (high T scores mean the child was doing the strength-based behavior frequently or very frequently. Typical is a T score from 41-59. This is the area that about 68% of children fall, it means that compared to others their age the child’s behavior is typical. Area of Need is the category of T scores 40 or below meaning the child fell one standard deviation or more away from the norm and may need some support to further develop a protective factor. Q5. What is the score a child needs to be considered “at risk” and needing a referral? If a child has a T score in the range of 40 or below that factor is considered to be “at risk” as it falls one standard deviation form the normative sample mean. This score alone does not automatically indicated a need for referral. The data from the DECA-I/T should be used together with other information to make decisions about what children may need. Please see the DECA-I/T User’s Guide, page 32, for more detail. Many states use percentage delays to find sufficient risk for early prevention and intervention services. For instance, a state may require a 25% delay in one or more domains. This approach has been operationalized using assessments that provide an age- equivalent score. For instance, a 36 month old child who receives an age-equivalent score of 27 months would be demonstrating a 25% delay. The DECA-I/T scores can be used in a similar way. Given that a T score of 50 is considered “average,” a 25% delay would be a score of 37 (50 minus 25% (12.5) is 37.5, which rounds to 37). Children with a T score of 37 on a protective factor scale could be considered 25% delayed. With this approach, the 25% delay concept results in a cut score of about one standard deviation from the mean, which is a value that has been used for many years as a reasonable rough estimate to indicate cause for concern. Q1. How do I compare a pretest rating for a child in one DECA-Infant age range (e.g., 1-3 months) to a posttest rating for the same child who has now aged into a different DECA-Infant age range (e.g., 6-9 months)? You would use the tables posted here. Note that when you are comparing pre and post ratings within a DECA-Infant age range (e.g., the child is within 6-9 months at both pre and post), you would use the existing tables in Appendix C of the DECA I/T User’s Guide. The tables in Appendix C would also be used when comparing pre and post ratings done with the DECA-Toddler record form at both time points. Q2. What amount of a change in a child’s DECA-I/T results should our program expect? The amount of change noted in children’s scores depends on a number of factors including how much risk and adversity the child is experiencing, the degree of fidelity in which the DECA-I/T Program is being implemented, the consistency of the raters, etc. However, in general, we typically find that a good program doing a decent job of implementing the DECA-I/T Program sees on average a 3-5 T-score point change across one program year. Another good way to consider this is that a common rule of thumb in the social sciences is that change of only 1 T-score point is negligible or meaningless. A change of 2, 3 or 4 points is a small change. A 5, 6, or 7 point change is a medium change, and any change of 8 points or more is a large change. Usually, social science and education folks are very happy to get a medium change over a one-year period. Download directions and an Excel template that calculates DECA-I/T score changes. Q3. Can I do a pretest-posttest comparison to examine changes in a child’s social-emotional competence across Devereux assessments (e.g., a pretest DECA-T and a posttest DECA-P2)? Q4. How can the DECA-I and/or the DECA-T be used to measure outcomes for individual children, groups of children, and program evaluation and quality improvement purposes? Q1. What training options are available for those who work with Infants and Toddlers? Professional Development options for those who work with Infants and Toddlers can be found on our website. You can also contact Debi Mahler, Director of Professional Development, to talk about options for your community onsite: (866) TRAIN-US, or [email protected]. Q2. What strategies are available for Infants and Toddlers? Strategies for the home setting and group setting are provided through two resources, Infant and Toddler Strategies Guide, and For Now and Forever: A Family Guide for Promoting the Social and Emotional Development of Infants and Toddlers. Additionally, a tool for adult resilience called the Devereux Adult Resilience Survey, and accompanying strategies are available through Building Your Bounce, Simple Strategies for a Resilient You – All resources above are found in the DECA I/T Program kit. Q1. Are you going to develop a Clinical tool for Infants and Toddlers like the DECA-C? No, not at this time. A thorough review of the DECA-I/T items in relation to the Diagnostic Classification System for Infants and Toddlers was completed by a group of licensed infant mental health clinicians. The outcome was that the DECA I/T items would pick up on behaviors related to social and emotional risk utilizing the strength-based approach. In research studies, the DECA-I/T is shown to be sensitive to risk in the social and emotional realm and an infant or toddler who is exhibiting risk should score in the Area of Need Range on this tool. Also see the DECA-I/T Technical Manual page 33-34 for information on Criterion validity study. Children who were in the identified group (Expelled due to challenging behavior, identified and receiving early intervention for SE challenges) scored in the area of need range as predicted 75% of the time for infants and 78% for toddlers (TPF scale). Q2. The DECA-Clinical (DECA-C) can be used for children ranging from age 2 up to their 6th birthday. Can you provide guidance around how to compare score changes on the DECA-C? Download directions and an Excel template that calculates DECA-C score changes.